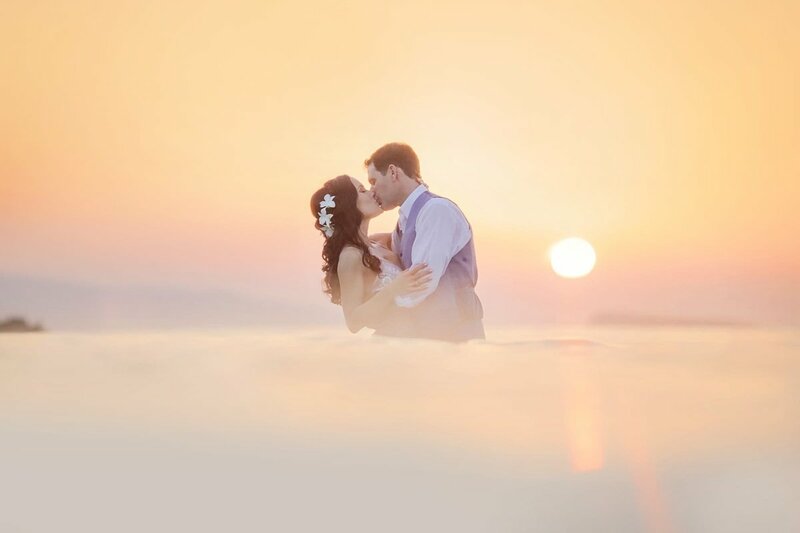 Carolyn + Michael joined us for their sunrise trash the dress session on Maui and we were greeted by a beautiful start to the day and a fun Land + Sea Session! Thank you both for choosing us to photograph your beach portraits on Maui! We couldn’t have asked for a better couple to share this sunrise with. Shirley + Thomas had an awesome connection and we enjoyed a beautiful sunrise together from the Land + Sea!